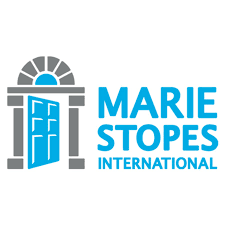 In-Country Consortium Lead – Major DFID Project Job at Marie Stopes International. Marie Stopes International is a Social Business, which uses modern management and marketing techniques to provide reproductive health care and allied services. MSION’s goal is to meet the needs of underserved Nigerians and dramatically improve access and use of a range of reproductive health services. MSION is part of Marie Stopes International’s Global Partnership which is in over 40 countries worldwide. In-Country Consortium Lead – Major DFID Project Job at Marie Stopes International | In-Country Consortium Lead | Major DFID Project Job at Marie Stopes International | Marie Stopes International-see more details of In-Country Consortium Lead – Major DFID Project Job at Marie Stopes International below. The MSI DFID Reproductive Health Programmes Team has responsibility for oversight of all MSI’s contracts/grants funded by the Department for International Development (DFID), as well as management of MSI’s overall relationship with DFID. The Team provides leadership for ensuring that organisational strategy, policy, systems and capacities are responsive to DFID priorities and investments and that the organisational strategy and policies influences the DFID priorities and investments. The Team ensures that programme implementation and project management exceed DFID expectations. The DFID Reproductive Health Programmes Team is recruiting four senior In-Country Leads for a multicountry, multi-million pound global sexual and reproductive health programme funded by DFID. The project will be strongly committed to leaving no one behind and as a result will have a strong focus on reaching young people, people who are poor and people who are marginalised. The In-Country Leads will perform a key function within the programme management team, reporting to the DFID Project Director in London. The Lead will have oversight of the visibility of the programme and coordinate with other stakeholders as required at national level. This role is subject to the successful award of the contract and the project is due to commence in 2018. The role will be for a minimum of one year and may be extended for the full duration of the project (3 years). Provide periodic reports on country-level progress to the DFID Project Director. Able to look at the big strategic picture but also engage in the detail when necessary. Application Deadline: 20th August, 2017. Married Woman Sentence With 15-Year Imprisonment For Having S3x With Two Teenage Boys.